NeNe Leakes Has Her EXTRA LONG Say On Why She's Beefing With Cynthia AFTER They Made Up...Posts RECEIPTS! On Sunday night's reunion show installment, NeNe was upset that her frenemy Cynthia Bailey was attempting to bring up old ish...in front of the rest of the laadies. NeNe said she found it odd Cynthia had "forgiven" her for the "Peter stop acting like a b*tch" comment in October of last year. And they have spent tons of time together since then being Best Friends again--Thanksgiving, New Years Eve, Fashion Week and more. 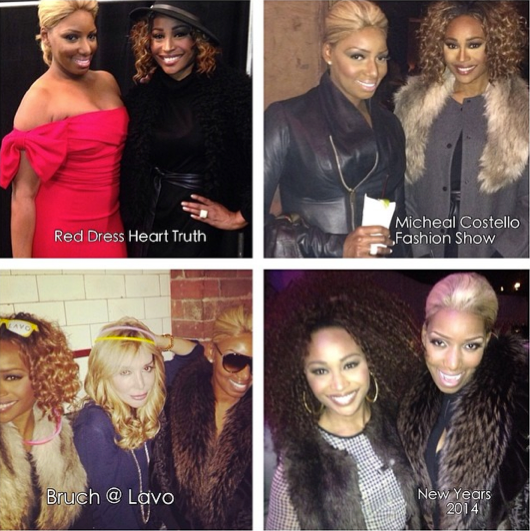 So when Cynthia appeared to be shocked and appalled when the episode of the Peter/NeNe fight aired, NeNe accused Cynthia of letting the audience and 'outside talk' change her mind about making up with NeNe. And she also accused her of trying to create a storyline to save her job on the show, all at NeNe's expense. Oh, there's more. 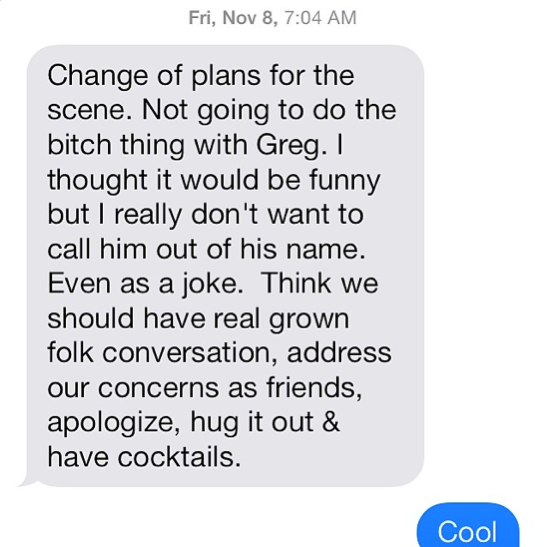 NeNe then posted a screenshot of the text message Cynthia sent her last October right after the Mexico incident was filmed, with Cynthia saying she had let it go and wasn't going to press any further in their next scenes together.